Before I go on I am going to clarify that I am perpetually single and am strong in the opinion that, although I wouldn't mind receiving chocolates, people shouldn't just be romantic to their significant other on Valentine's but all year round. Yet for the greater good of the blogosphere I have decided to create this wishlist to embrace this time of love rather than sitting alone in a duvet cocoon crying into a pot of Ben and Jerry's whilst the world is out with their special someone. *scans paragraph and tries to eliminate hints of bitterness*. So, this is a list of things I think are great that are around at this time and would advise everyone to purchase. I do have a plan for Valentine's Day in that I am going to buy myself chocolate, wrap it up (maybe even post it to myself?!) 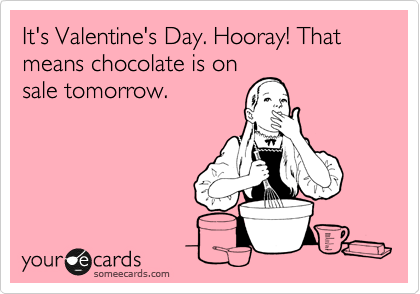 and feel happy that I too have chocolates and I am not missing out on a chocolate based occasion. Anyway maybe us singletons could just buy ourselves lovely things instead - in fact, I might get myself a bottle of the Prince Charming Shower Gel which apparently smells like Terry's Chocolate Orange and I am seriously considering getting that Darcy's proposal cushion - how I am going to manage at uni on a fixed budget, I have no idea! I also want to encourage you towards reading a lovely post my best'un wrote on her blog Musing of a Thoughtful Person about the history of Valentine's and how it has been exploited by companies...(looks up at post above guiltily) and how everyone should just be loving all the time not just for one day. 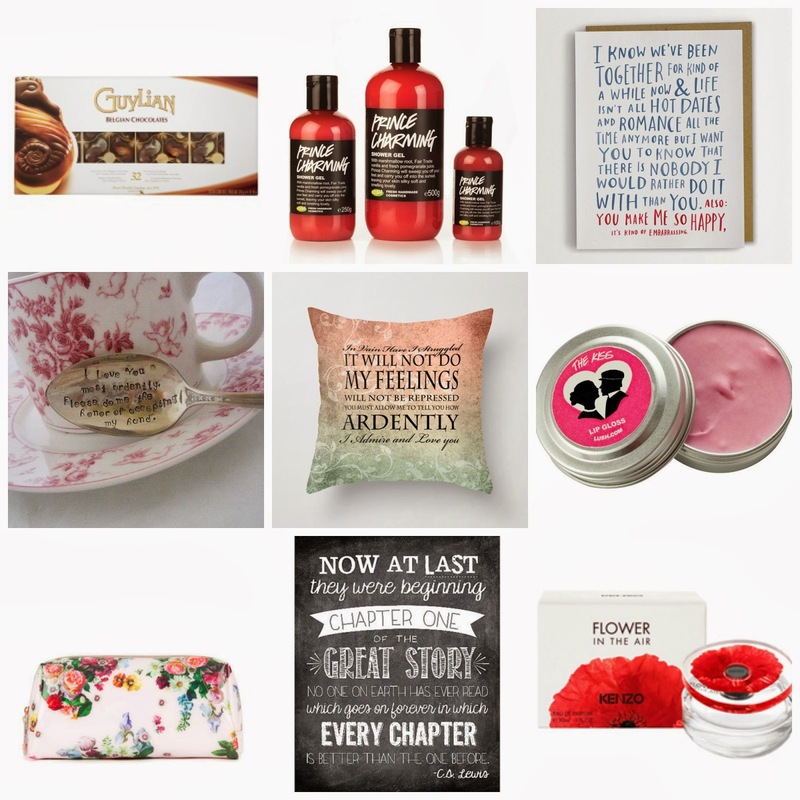 I hope you enjoyed this post and I would love to hear which is your favourite from the things I picked. The first picture is hilarious! HAHA *scans paragraph for bitterness*. my friends and i are going to a fancy dinner together and dressing up- i don't see anythign wrong with your besties being your valentines! and i love your picks, especially the engraved spoon. HOW cute is that? That Lush prince charming shower gel sounds amazing, I love Terry's Chocolate orange haha! Valentine's Day is so much more fun as a single gal! Mr Darcy cushion is soooo cute! Heavy Discount On Half Saree – Upto 40% Off valentines wishes.